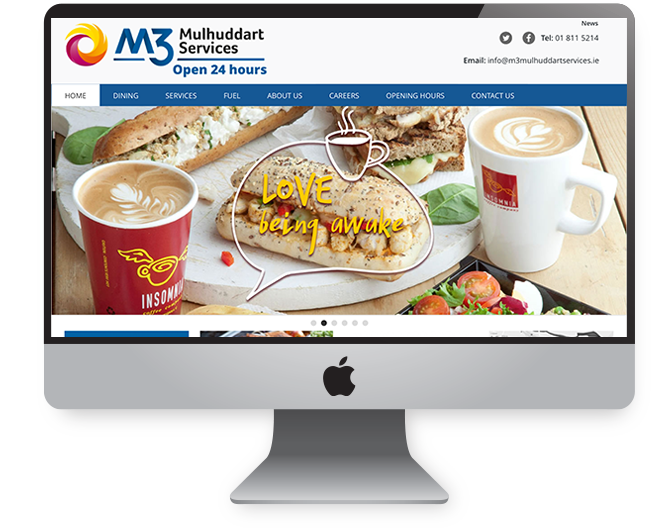 M3 Mulhuddart Services located on the N3 is operated by The Lidon Group and is Maxol's largest ever service station. 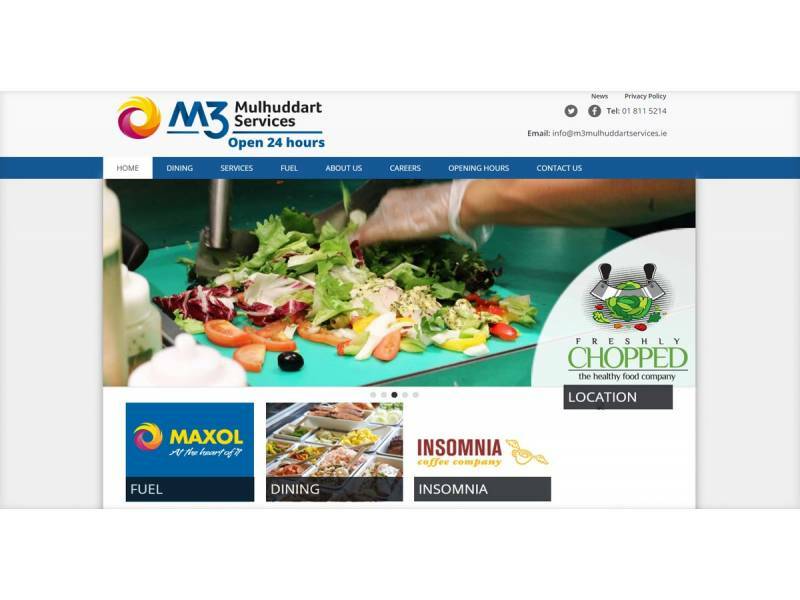 It is a full destination site offering its customers a full forecourt service and choice of quality fresh food all day long. Healthy food company Chopped, fast food brand Supermacs and Insomnia café are all located within this new service station, providing customers with plenty of choices as well as convenience. 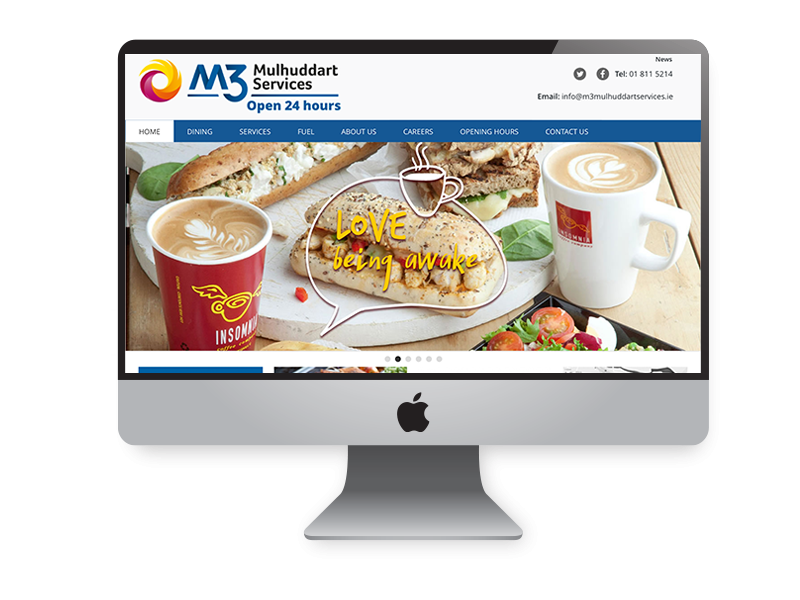 M3 Mulhuddart Services needed a simple to use website where their customers would be able to quickly obtain information on-the-go. 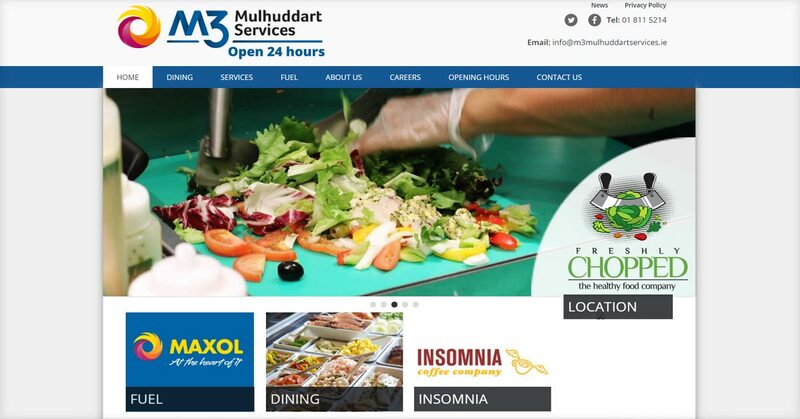 Information on the service stations location and food offer is accessible to the site visitor immediately. This makes it easier for commuters to get there (one click into maps) and decide what foods they want offering further convenience. As a new business, they needed to promote career opportunities and job openings. Using the Dotser CMS they can easily manage applications. With the Dotser CMS, staff has also been able to quickly create news stories and maintain a constantly updated social media feed. 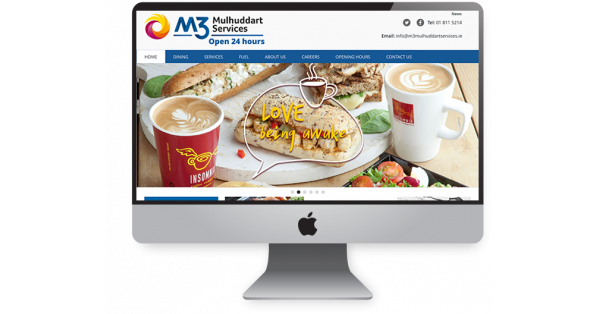 This keeps their site fresh and engaging, encouraging repeat visitors while building great customer relationships online.